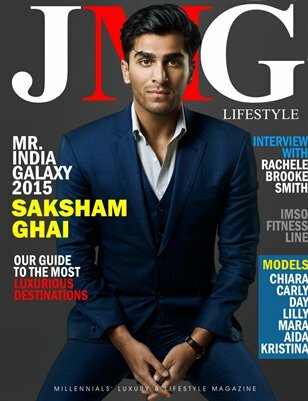 JMG Lifestyle Millennials' Luxury & Lifestyle Magazine is an international print and digital magazine driven by the new generation of jet setters. Be inspired to live an authentic and fulfilling life. Explore luxury travel, entertainment, fashion, health, fitness, and review cuisine from around the world— there’s nowhere that JMG Lifestyle won’t take you. Our sleek design hosts exclusive features, stunning imagery, and captivating articles from top influencers across the globe.